Barcelona is becoming a hub of strong support for Citizen Science with an office for citizen science at the city level. It was therefore the site of the 2015 annual meeting of the European Citizen Science Association. On the day before the annual meeting, the afternoon was dedicated to a citizen science safari, with visit to the Parc de la Ciutadella and the nearby coast, learning and trying a range of citizen science projects. Some of my notes from the meeting day are provided below. Katrin Vohland (ECSA vice chair) open with noting that we see growing networks at national levels (Austria, Germany) and internationally. She noted that role of ECSA as a networking organisation and draw parallels to transformative social innovation theory which talks about ‘guided expansion’. ECSA can develop into multiple hubs (innovation, urban, ecology etc.) with shared responsibility and potentially distributed secretariat . We can share experiences and work load across the network and find new ways to grow. Libby Hepburn (Australian Citizen Science Association ACSA) talked about the experience in Australia from two perspectives – personally running the Coastal Atlas of Australia and being involved in ACSA. Starting with the Australian context – the history that it didn’t have many people (20 mil population over space larger than Europe, displacement of aboriginal groups and loss of local knowledge) and impact of weather and climate is important. Only 25% of Australian species have been described. There are lots of introduced species – from rabbits to dung beetles to cane toads, thought there are counter examples such as dung beetles are actually successful as they deal with the impact from hoofed species that were introduced. The development of science in Australia is from the late 19th century. The political approach towards science is complex and changing, but citizen science doesn’t wait for the political environment. The Australian Museum created a project to digitise over 16,000 transcriptions of species. Projects such as Explore the Sea-floor allow people to classify images that are being taken automatically under the sea. Philip Roetman Cat Tracker project is another example, allowing to understand the damage that domestic cats causing to local biodiversity. The atlas of living Australia allow for information sharing and distribution patterns. and additional layers – including likely rainfall. They are starting to develop a citizen science project finder, and starting an association – while keeping links to the other emerging associations and projects. She noted the analysis of the Socientize white paper, OPAL, and other lessons from around the world. 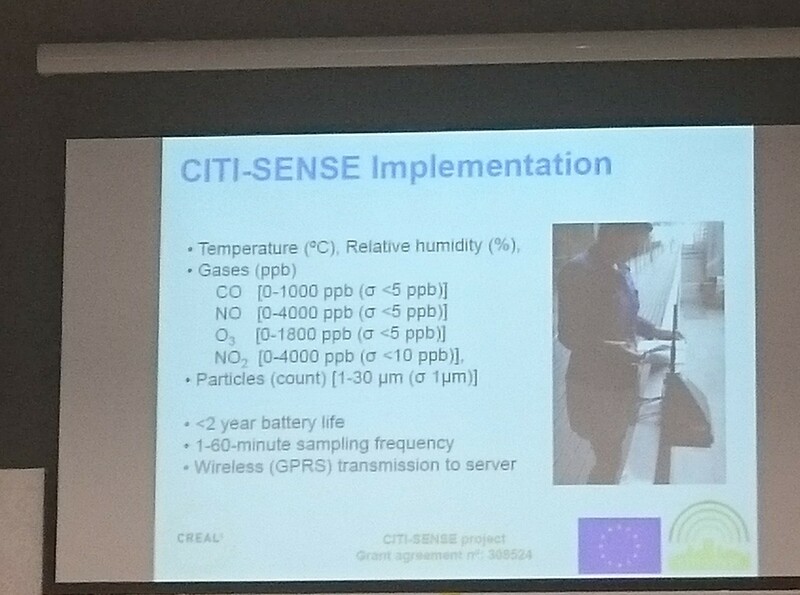 A presentation from the Citi-Sense project explained the need for development of sensor-based on citizens’ observatory community. Some of the products that are ready for use. Starting to have stationary boxes that are becoming possible to produce information about air quality. They have developed the CityAir app which provide to report geolocated perceptions and visualise user community reports. Provide personal and community perceptions. There are ways of integrating the data from the models and perception. Sven Schade (JRC) talked about the citizen science data flow survey. Received 149 projects. at different scales – from neighbourhood to multi national. The data re-usability is that while 90 projects provide data, the majority do that after embargo. Daniel Wyler (University of Zürich) talked about the citizen science in universities – an initiative in the University of Zürich – establish citizen science at public research and education bodies, they want to establish the Zürich Citizen Science Centre, and developing two papers – a policy paper about the area, and a set of suggested standards for research universities and science funding bodies. 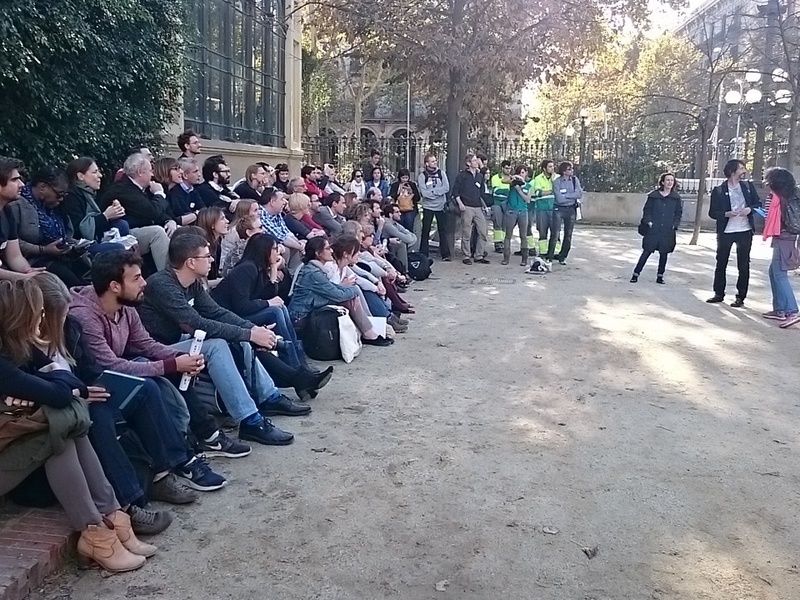 Josep Parelló talked about creativity and innovation in Barcelona – BCNLAb is collaboration with the city council – providing a hub that allow grass-roots to create activities. Providing open scope – they established a citizen science office and promoting participatory practices in scientific research, enjoy from multipliers of research, sharing resources, having a large base of committed participants, common protocol, data repository. He used inspiration from Michel Callon (2003) Research in the wild concept. Daniel Garcia talked about the Responsible Research and Innovation Challenges and the linkage to citizen science. RRI includes concept such as CBPR, Science Shops , Open Science. Citizen Science is concerned in the political acceptance to inform policies. There are multiple links between RRI and Citizen Science. Anne Bowser and Elisabeth Tyson described the Wilson Center commons lab and the emerging legal landscape in the US: the crowdsourcing and citizen science bill of 2015 that is being offered in congress – it’s about educating policy makers to the topic. There was also memo from the Office of Science and technology Policy. The memo asked to have point of contacts for citizen science, secondly standardising metadata and cataloguing citizen science activities. A toolkit was published to assist with the implementation. There is an effort of creating a shared database across the CSA, CitSci.org, SciStarter and other sources. There is value in these database for end users, and also use the database as a research tools. (DIST, Aalborg University), Roger Owen (Scottish Environment Protection Agency) and Ferdinando Boero (University of Salento).